You'll be £12.99 closer to your next £10.00 credit when you purchase Counter-insurgency. What's this? Insurgencies are at the centre of most of the conflicts that confront the modern world, and they have been since the Second World War. Leading armies across the globe have well-developed strategies for fighting counterinsurgency campaigns which are continually adjusted and refined as a result of direct experience gained in the field. Understanding this experience and learning the right lessons from it are essential as new insurgencies break out. Perhaps this is especially important today in the wake of the attacks on America and the fighting in Iraq and Afghanistan, and that is why this new edition of a pioneering survey of the subject, first published 25 years ago, is of such immediate relevance today. 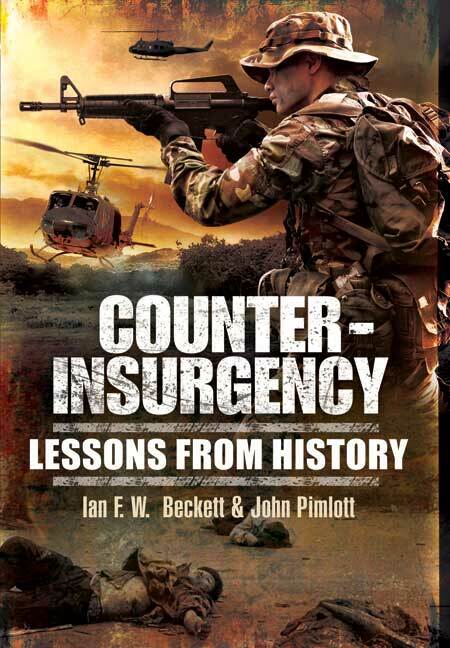 Editors Ian Beckett and John Pimlott brought together a team of expert contributors who provided an international overview of counter-insurgency strategies and techniques as they were perceived and put into practice a generation ago. This historical survey, which covers irregular warfare in countries as widely separated as Chad, Vietnam, Uruguay and Mozambique, will be fascinating reading for anyone studying insurgencies and the armed response to them. This is the second edition of this classic study into counter insurgency, with chapters on Vietnam, the Tupamaros, Mozambique and Namibia, and looks at techniques both present day and past. In the past I have heard all kind of funny things said about counter-insurgency warfare. It’s not ‘real war’, or that it causes armies to ‘go soft’. But I guess on the other hand it is also symptomatic that military historians have not really studied COIN as much as they should have. This is a very useful book, therefore. And it is extremely relevant, in that both of the authors have lectured at Sandhurst and other Defence institutions. Dr John Pimlott was Head of the Department of War Studies at the Royal Military Academy, Sandhurst from 1993 until his death in 1997. He had worked at Sandhurst for 24 years and was a prolific author, whose publications included Guerrilla Warfare, Vietnam: The History and Tactics, and the Guinness History of the British Army.